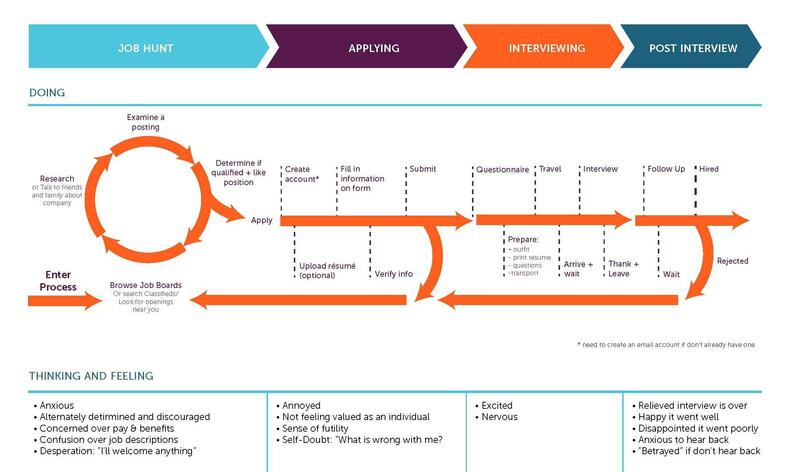 This "job map" demonstrates the tasks a job applicant has to go through when applying for a job. A seat at the cool table. "Emotional jobs" relate to how the consumer feels about a product, and what they believe is others' perception of them using it. A Job-to-be-Done is more than the Job translated as the verb of an action made by a consumer, understanding the consumers behavior turning a "what he wants to accomplish" into a "what he needs". As told in the blog article, as designers we can't rely on a consumers opinion about their desires and needs, it is us who create the motivation and design experiences awakening new needs. A clear example is the use of smartphones. What is a smartphone? What is the need of buying one? Is there an actual need of being connected 24 hours, 7 days of the week? Yes. The basic need is communicating. Now we can check the Pyramid of Maslow created by Abraham Maslow, where communicating is in the third layer of needs situated in the "Love and Belonging" that simply translates in to the social influence and the collectivity establishment we are constantly seeking for. I have been talking about communication that differences it self from connectivity, although these two terms are correlated, connectivity has taken a big jump to become the priority. We could define connectivity as communication transformed into a global networking were the action of communicating is not required. We design smartphones to guide the consumer into the connective world rather then just the act of calling and talking, now lets see it from a different perspective, if we started designing from the "what he needs", we clarify the need as to be connected 24/7, that brings the most important question of all: If the need is to be connected, do we need smartphones? The answer is No. We need products or services that allow a global and unlimited connection. How is it different?. 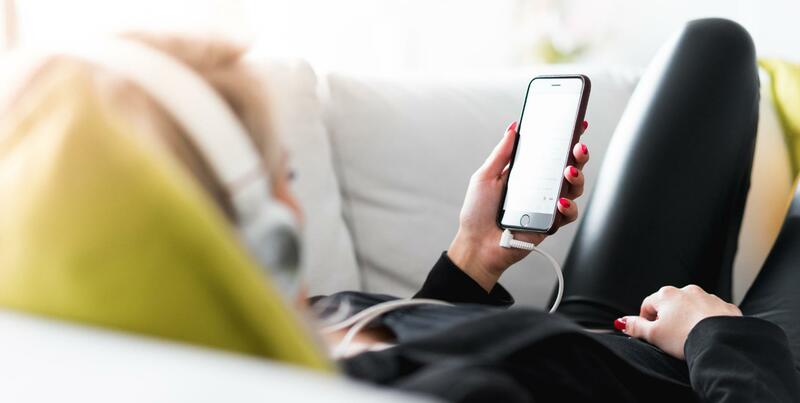 If we think about devices (smartphones) that allow connectivity and redesign products in a specific period, we will be driving ourselves into a cycle of redesign processes that would never end. If instead we allow products or services to be our base point, we will succeed in innovation and widen the possibility of designing new experiences based on functional and emotional Jobs. Daniel is a diligent designer who has worked with large companies like Sony PlayStation, Yahoo, and Disney. On top of his experience with those companies, he's also worked at small agencies and startups. Along with his eye for design, Daniel also has a solid academic background in media art, design, and human-computer interaction. On any given day, he may be building prototypes, tools, or designing products.